I lived in an area perfect to train parkour without realizing it. Now that I know it’s really ironic. It’s like noticing that the mountains and ocean have been around the corner all the time. I just didn’t see them! Luckily I did notice my surroundings finally. Indeed I started training parkour in my late thirties and it has been a revelation I’ve been waiting all my life for. Suddenly everything makes sense. “I live in a village and there are no obstacles here”. They seek help often commenting below parkour videos. How to deal with such roadblocks or should I say obstacles? Can you only train in “spots” of big cities? Of course not. It’s a matter of creativity. You need to embrace your surroundings and play with them. The whole world is a playground. This also applies to life in general. Parkour practice can help you with both. It’s about appreciating the time and place you live in and finding opportunities right where you are. Some people also refer to the new way you see your surroundings as “parkour vision” – a new way of looking at things you’d ignore usually. Where others see a wall or dead end you see a wall climbing opportunity. Where others see a barrier you see a place you can play around. It’s not about traveling once a year for two weeks. You can make a change today and every day right where you are. There is no need to move to somewhere else. Of course once you start embracing your surroundings and seeing obstacles as opportunities you also expand your horizons mentally and literally. Many advanced parkour practitioners or female traceuses and male traceurs travel the world to be able to train at well-known spots they have seen in parkour videos made by other people. Some freerunners focus on so called urban exploration altogether. This discipline is even older than parkour itself. They climb on cranes or skyscrapers. They explore tunnels and abandoned buildings. They go to remote locations. Sometimes traditional exploration and urban exploration meet again in the countryside. While traveling the world and exploring urban or rural areas is an excellent pastime you don’t need to go far. The adventurous spirit is within you. You can recreate your daily routine from the ground up and experience adventure right where you are. I start my day with parkour training and once I’m done I’m already exhausted physically but happy mentally. Of course I eat and drink first. I also meditate after that and even walk my dog. Then I train. After that I finally have to work. My work is similar to that of most other people. I sit and stare into the computer screen most of the day. That’s still not the perfect set up. I will have to change my daily habits to incorporate more movement throughout the day. Currently I get up and stretch like every hour or so but it still is tiresome to lead such a “sedentary lifestyle”. When I run, jump and climb in the morning I already feel good for the rest of day though. On days I don’t train the risk of getting headaches, a cold or simply a grumpy mood is much higher. It’s not a coincidence. Sitting and screen work has lots of disadvantages. To keep it short it makes you sick and unhappy. No wonder. We weren’t designed to sit and stare into artificially lit pixelated screens all day. You don’t have to be a former NASA doctor or nutritional scientist to realize that sitting for many hours every day is disastrous for your health. to your surroundings unless you haven’t experienced them yet yourself and need scientific proof. Studies even show how taking a walk in the park can boost your creativity while walking in a busy street with lots of traffic is already less inspiring. Even a simple curb is an invitation to balance. Often little kids do it without even naming it. They just move around playfully without knowing what parkour or freerunning is. As kids we all had the urge to expand our horizons and explore our surroundings using natural movement. You can rediscover these tendencies by unearthing them below all the civilized coolness. Most people will also think it’s childish to balance on the curb. that are really monotonous and require some additional stimulation (like listening to music) to make them bearable. Often joggers also talk to each other to distract themselves from the tedious one-sided movement. You can do the exact opposite of daily routine. 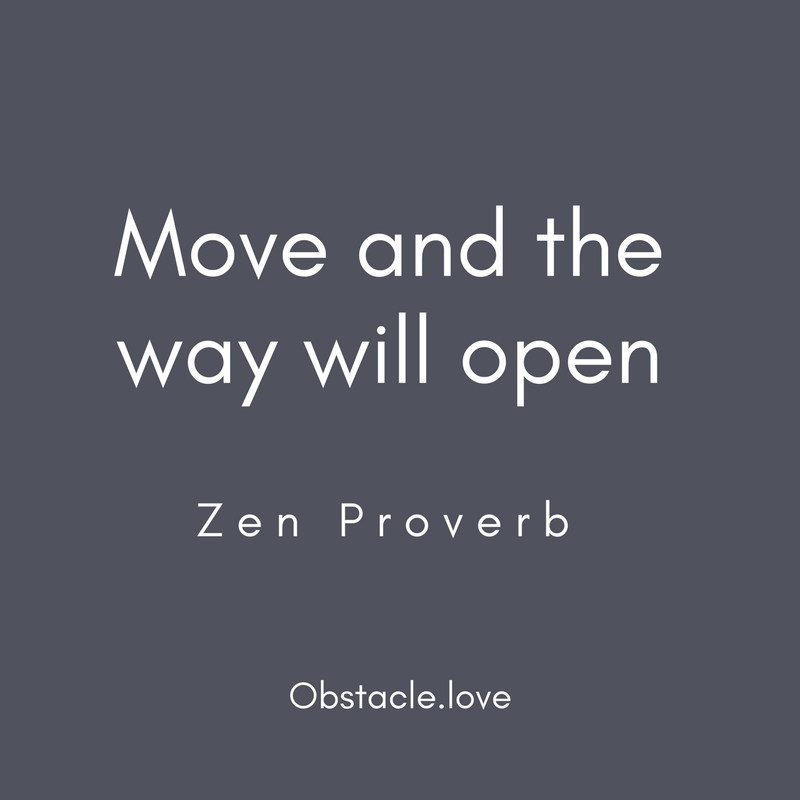 Why not move in a way that is not widely practiced? Why not just take a different way than other people? Try to go the other way every time you notice you could. Why not turn left instead of right like you do every day. Why not take the more enchanting path along the water instead the shorter way along the busy street? Why not actively climb the stairs instead of just standing around awkwardly in the elevator? Why not explore the roof instead of just taking a look out of the window? This is not even parkour training yet. It’s just rediscovering your neighborhood and your ability to move in unexpected ways. Wait until you hear about actual parkour practice! I will tell you about it in another post! Rather don’t wait though. Start moving now!